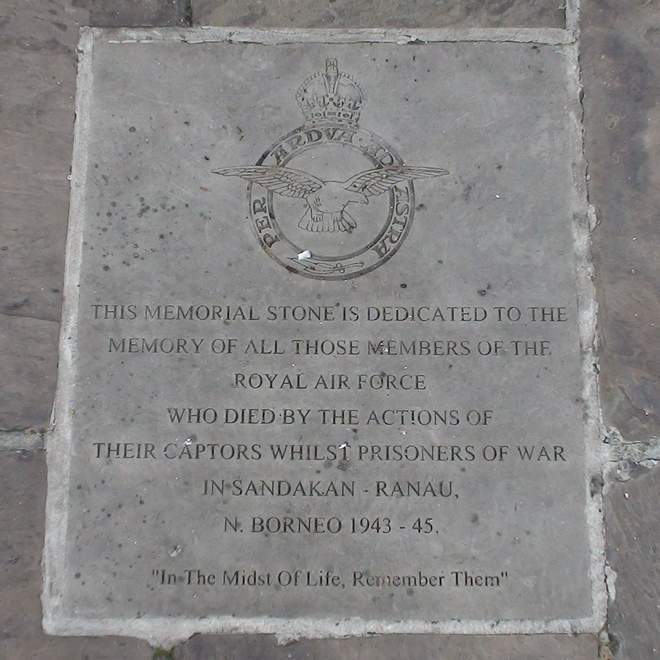 This memorial stone is dedicated to the memory of all those members of the Royal Air Force who died by the actions of their captors whilst prisoners of war in Sandakan - Ranau, N. Borneo, 1943 - 45. "In the midst of life, remember them"
Suez, Gang Shows, the fallen, Denmark, Boys, Borneo. To commemorate Royal Air Force apprentices and boy entrants, 1920 - 1993. 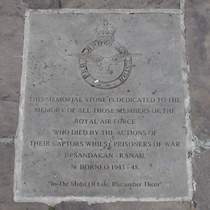 Royal Air Force (Egypt) Memorial gives a report of the laying of this stone.